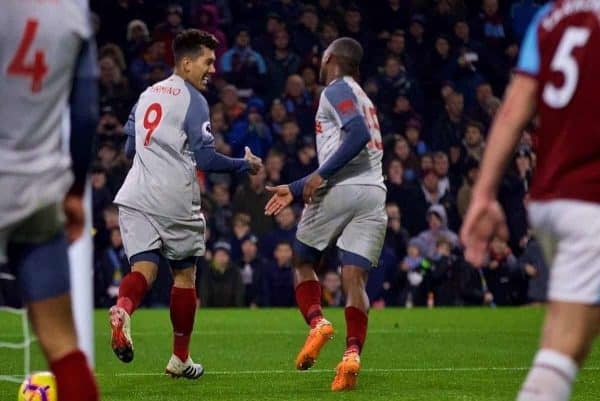 Liverpool came from a goal behind to seal an impressive 3-1 victory away to Burnley on Wednesday night, as they continue to chase Man City at the top. Just three days after their triumphant win in the Merseyside derby, the Reds were back in action and this time on the road, making the relatively short trip to Turf Moor. Taking on a Burnley side who had won just twice in the league prior to their midweek meeting, languishing in 19th, Liverpool took confidence to Lancashire. While his side were struggling with injuries, Jurgen Klopp still showed respect to Sean Dyche’s Clarets, though he made seven changes to the side victorious against Everton. Among those to come in were Joel Matip, Alberto Moreno, Naby Keita, Daniel Sturridge and the weekend’s goalscorer Divock Origi, with youngster Rafa Camacho on the substitutes’ bench. Just over 11 months on from their dramatic 2-1 win at the same ground, the Reds will have been hoping for a more comfortable night, and ultimately it proved to be. Wearing their white third kit, Liverpool lined up in a system resembling a 4-4-2, with Xherdan Shaqiri the most advanced midfielder behind Sturridge and Origi up top. 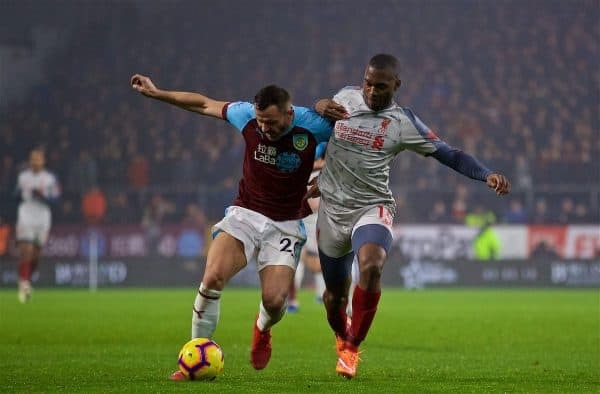 Burnley took a determined approach from the start, not allowing a new-look back four of Matip, Moreno, Virgil van Dijk and Joe Gomez to settle. A coming-together between Gomez and Ben Mee on the byline saw Liverpool’s No. 12 forced off with an ankle injury after just 23 minutes, with Trent Alexander-Arnold taking his place. Keita was the visitors’ standout in the first half, and a nice slalom into the box saw a powerful shot rebound back off Mee. Ashley Barnes fired a wonderful volley past Alisson and into the back of the net with the break approaching, but the striker was rightly ruled out for offside as the half ended at 0-0. Within a minute from kickoff in the second half Sturridge drew a good save from Joe Hart, with Keita the creator as he picked up where he left off. But with Burnley going up the other end, Jack Cork eventually turned home following a scramble in the six-yard box that saw Alisson deny both Barnes and Chris Wood. While Klopp prepared to make changes in the dugout, James Milner equalised with a low, placed finish from range, with Mohamed Salah and Roberto Firmino then brought on in pursuit of victory. 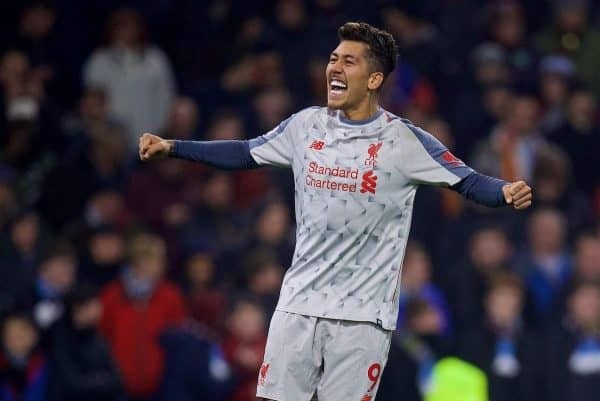 Within minutes, Firmino had put the Reds ahead, stabbing home from close range after Van Dijk stretched to meet Alexander-Arnold’s clever free-kick. Liverpool should have had a third through Keita, who was blocked three times in quick succession to deny a goal worthy of a man-of-the-match display, but Shaqiri soon put the game to bed. It came from a counter-attack sparked by the brilliant Alisson, whose long throw found Sturridge, who dinked it to Salah to feed the No. 23 for 3-1 and three points.